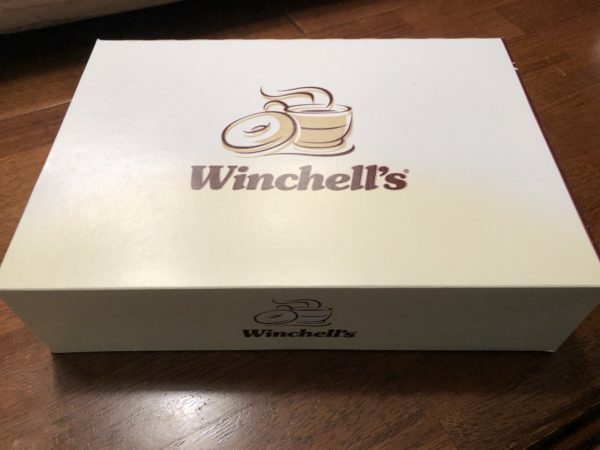 Winchell’s Doughnut House Review – Wichita By E.B. While I don’t necessarily ever crave donuts, it’s rare I’ll ever turn one down. My girlfriend, on the other hand, loves them. If I suggest them, her typical response is, “I could always go for a donut”. 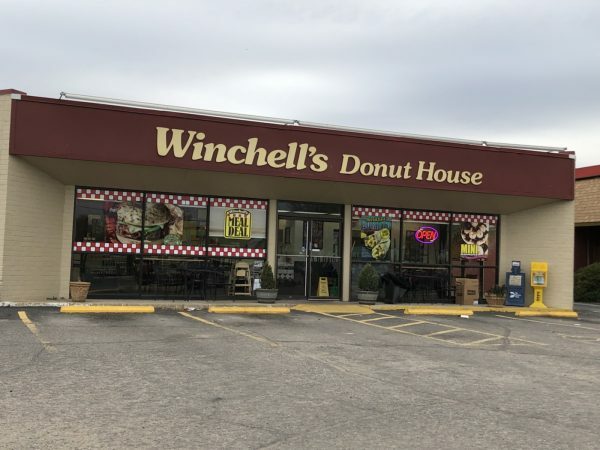 So wanting to try something I’ve never had before, I suggested Winchell’s Donut House. 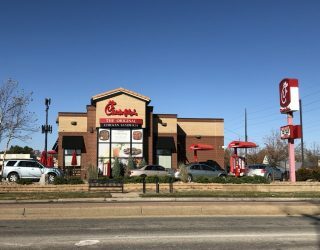 They are actually a national chain that started in 1948. There’s one location in Wichita on west Pawnee. Let’s check it out. Inside it had the old school appeal of how Dunkin Donuts used to be before they upgraded their image. 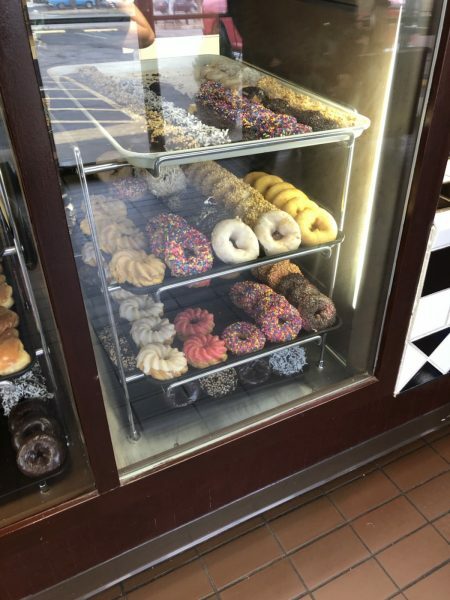 We selected six assorted donuts along with one of their ranchero breakfast burritos which they made fresh. I’m not a big fan of donut shops that offer premade breakfast burritos. 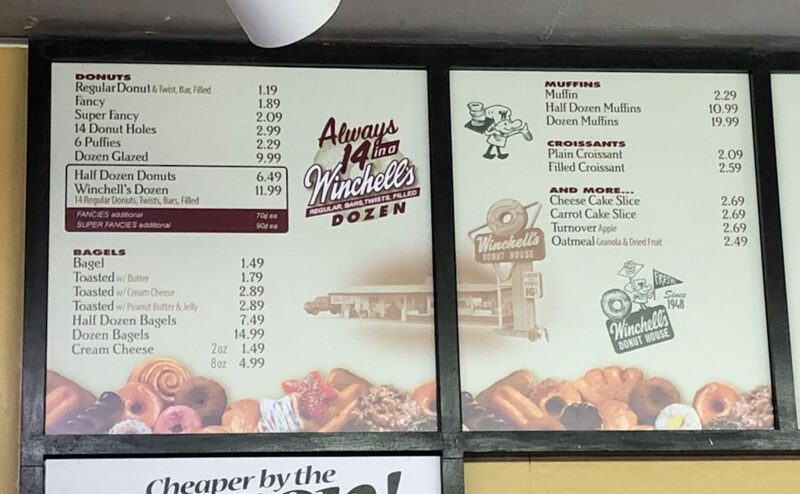 I really liked how Winchell’s was made to order. There was even a window available so you could watch not just the donuts being made but other items like their sandwiches. 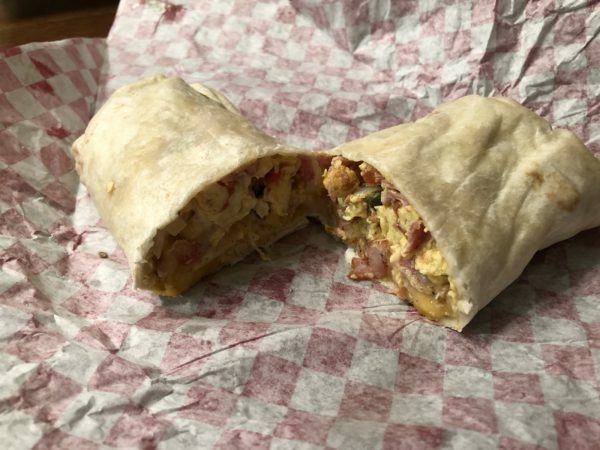 I was actually quite impressed with Winchell’s breakfast burrito. I wasn’t expecting much but was very pleased. It was a decent size burrito with plenty of filling and a nice little Mexican kick to it. After finishing it, I was a little full so I held off on the donuts. My plan was to just eat one later in the day. My girlfriend had a couple and the kids had a couple and thoroughly enjoyed the donuts. They weren’t mind blowing but at the same time very satisfying. Later on when I was ready to eat donuts, they were gone. I suppose the rule is you can’t leave donuts around and expect them to be there all day. So what did I do? 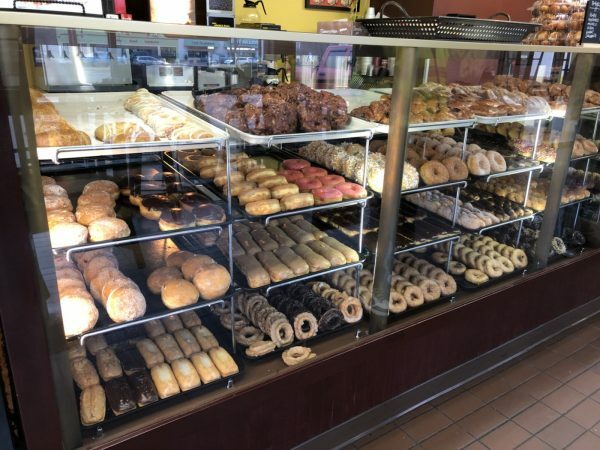 I made a second trip to Winchell’s to pick up donuts. There’s a stark difference in the level of service between the morning and night shifters. The morning crew was so pleasant and friendly. Meanwhile the night crew rushed me. While I stood there trying to choose donuts, he goes, “Just get me when you’re ready” with this really annoyed look. Once I finally ordered my donuts, I ate a few in my car just to make sure I was able to get some. 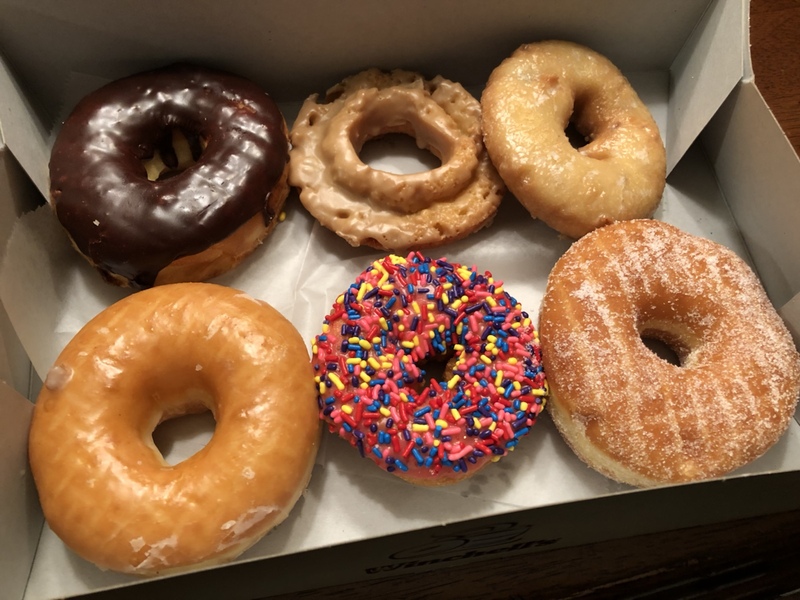 I am probably in the minority here but when it comes to donuts, they are either bad or good. I’m not one to ever have a donut and say it’s the best donut I’ve ever had. Winchell’s were good and satisfying. My girlfriend seemed to enjoy them to which ultimately is good enough for me. If I go back, I’ll be getting another ranchero breakfast burrito. Just stick to the morning crew if you want a nice, friendly, polite staff.